The Dorset Scenic Lookout Tower, Tower Kiosk and Picnic Site are operated and maintained for your enjoyment by the Township of Algonquin Highlands. The original tower was built in 1922, was 25 metres high (82 feet) and used as a fire lookout tower. The current tower was built in 1967 and is 30 metres high (100 feet). 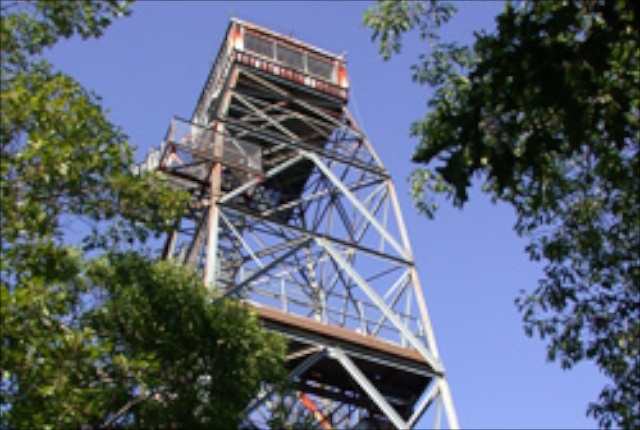 Visitors are welcome to climb tot he observation deck which is 465ft above Lake of Bays. Facilities include an extensive picnic site, restrooms, a tourist information kiosk, a gift shop and a hiking trail. The Tower is a “use at own risk” attraction. From Victoria Day weekend to Thanksgiving 9am-6pm daily. July 1st it’s open until 10pm. After thanksgiving the Tower is only open weather permitting so please call ahead. Please see the Algonquin Highlands website for the most up-to-date information. 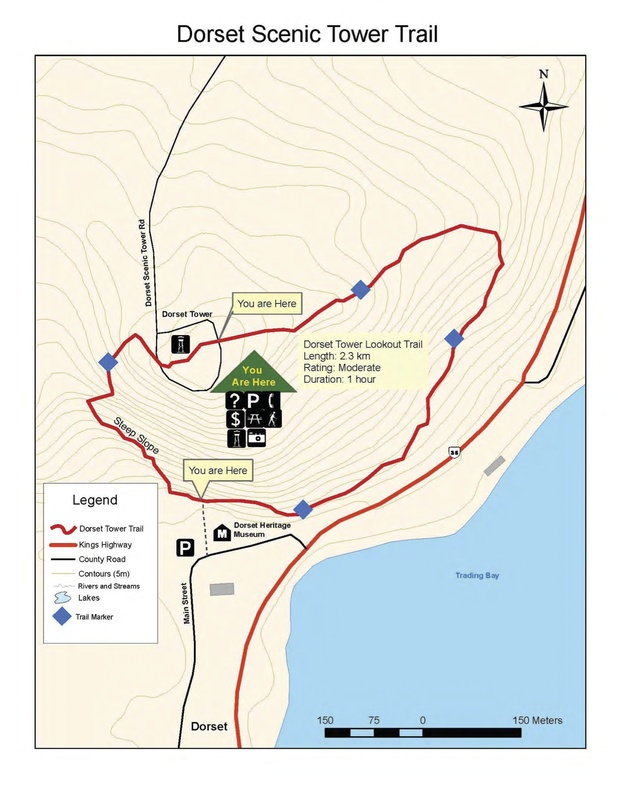 A 2.3 km moderate hike from the Dorset Museum to the top of the ‘Dorset Mountain’ where one can climb the steps up the 25m Fire Tower and view a panorama of 800 square kilometres of forest and numerous lakes. This is a must-see for anyone and a memorable experience. This trail can also be hiked from the top of the ‘Dorset Mountain’ down to the museum. If you want to start at the top (option available May to October), a fee to drive up to the access point/picnic area is applicable. During the open season there’s also a gift shop/visitor information centre, washrooms and numerous photo opportunities.